For decades, California’s water policy has been based on a false choice – choose healthy ecosystems with abundant fish and wildlife or choose water for people, farms and other purposes. And for decades the policies based on this choice have utterly failed all water users. Fish continue to decline; wildlife refuges suffer and cities and farms struggle to meet their needs. Not willing to accept a system that forces Californians to pick winners and losers, scientists, farmers, conservationists, fishing interests and others have been working together to find creative solutions that work for all. A host of projects throughout the state have been launched with some impressive results all leading to the same conclusion: we must move away from thinking that says the only measure of a healthy ecosystem is the amount of water in our rivers and embrace a holistic approach that considers an array of factors. Now, in an exciting new report, the Public Policy Institute of California (PPIC) details recommendations from prominent water scientists embracing this new approach to policy focused on comprehensive solutions. 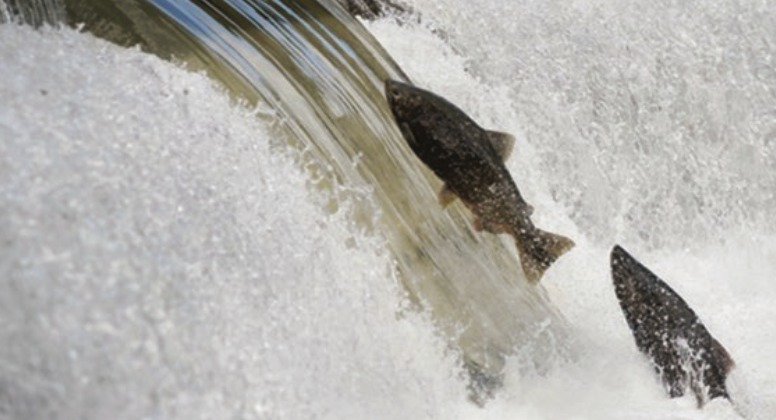 In Redding, farmers, environmental groups and government agencies are creating safe habitat to protect salmon from predators. It helps the salmon survive and frees up water for other uses. A healthy ecosystem makes the whole river better for everybody. In the San Joaquin Valley, Del Puerto Water District is building a first-of-its-kind recycling project that addresses agricultural and wildlife refuge water supply shortages utilizing recycled water. Use of the recycled water helps reduce urban discharge into the San Joaquin River, groundwater pumping and reliance on the Delta while freeing up other water for the refuges. The San Francisco Public Utilities Commission (SFPUC) working with other water interests along the Tuolumne River has put into practice the kind of plan the PPIC report discusses. It uses a comprehensive approach that manages fish habitat, predators, and water flow in order to support the fish population while maintaining water supply reliability for all of its other users – farm, city, recreation and environment. Farmers in the San Luis & Delta-Mendota Water Authority are helping fund one of the most exciting projects so far. Known as the Nigiri Project, it connects the fish food in flooded Sacramento Valley rice fields to the river where fish can access it and thrive. These are just a few examples of projects underway that show what can be accomplished when water users side-step our broken water management system and collaborate on innovative, science-based solutions. We applaud the PPIC report and urge the state water bureaucracy to either lead us towards the comprehensive approach described or let progressive conservationists, farmers, scientists, cooperative agencies and fishing interests take the lead and find solutions that work for all California water users.